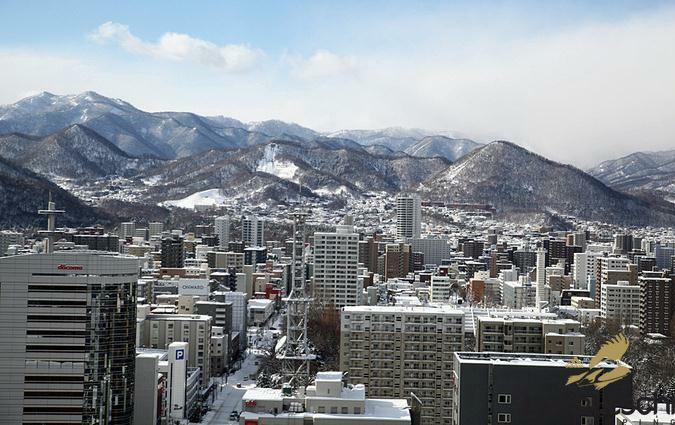 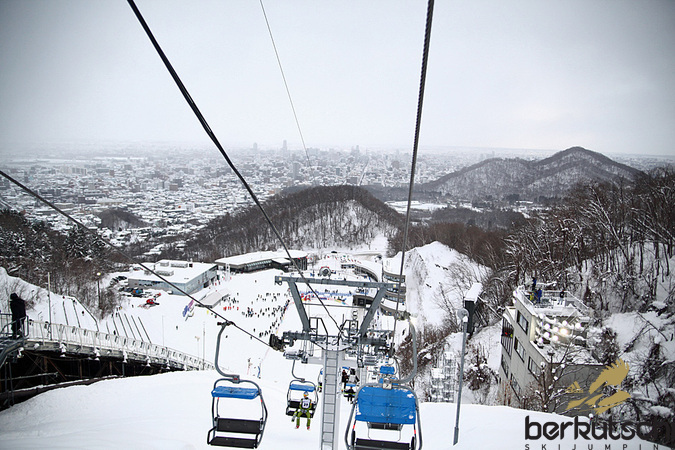 The first skiing courses in Sapporo were offered in 1909 by German university teacher Hans Koller. 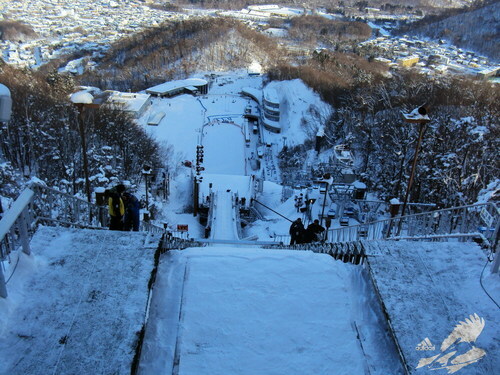 In March 1917 the construction of a first snow jumping hill at Mikadoyama followed and one year later a permanent wooden K20 hill was set up there. 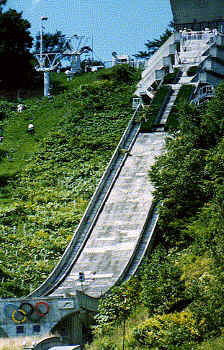 Nearby a 50 meter hill was set up in 1922 and one year later a K25 training hill was added. 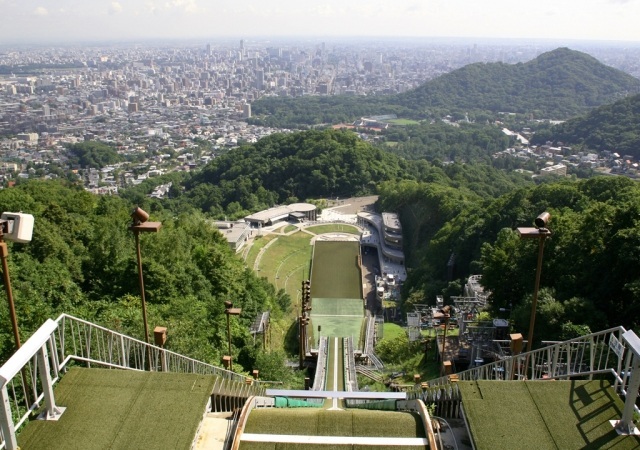 On his first visit to Sapporo in February 1929 Prince Chichibu Yasuhito promised the construction of a large ski jumping hill. 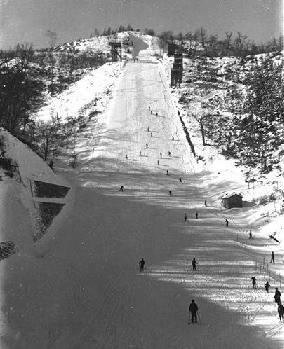 One year later a suitable slope was found and baron Kishichirō Ōkura supplied the necessary funds so that the construction according to plans of the Norwegian general Olaf Helset could start in July 1931. 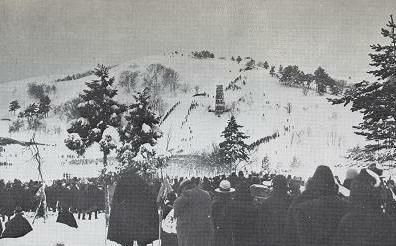 Already before it was possible to inaugurate the also by Helset constructed Araiyama hill in 1930. 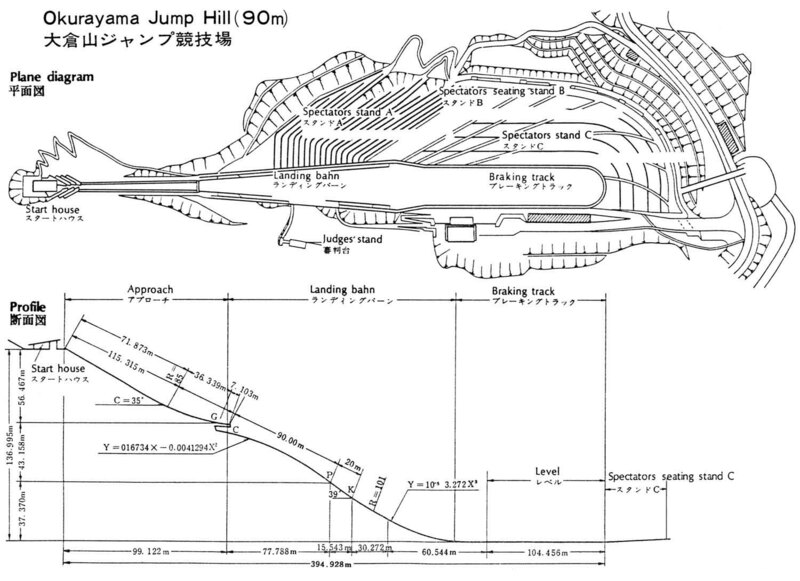 In October 1931 the 60 meter hill with its 100 meter long inrun was finished. 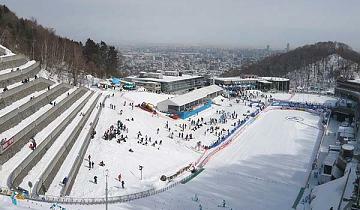 Afterwards it was named after baron Ōkura and the inaugural competition was held on January 17, 1932. 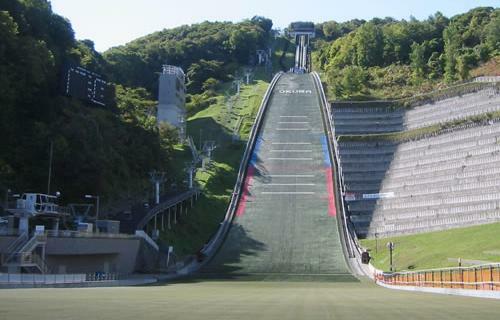 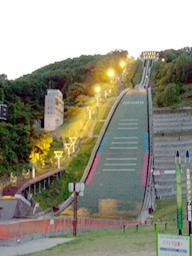 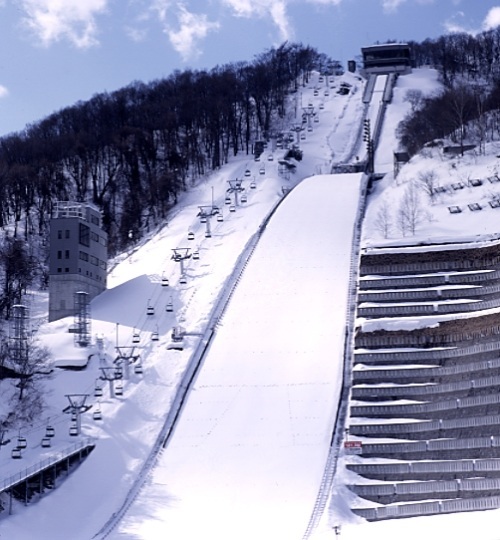 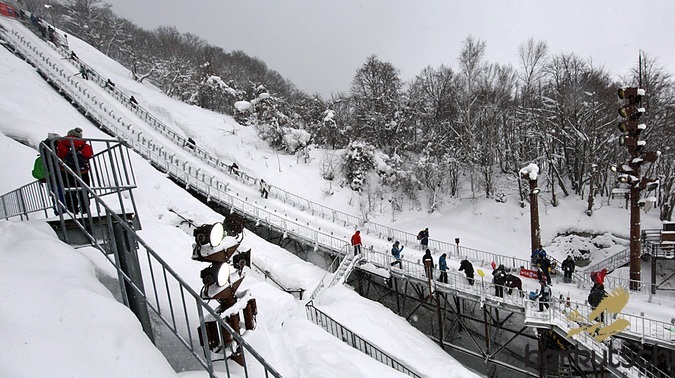 During World War II the most traditional ski jumping hill of Japan was destroyed and rebuilt as a K80 in 1952. 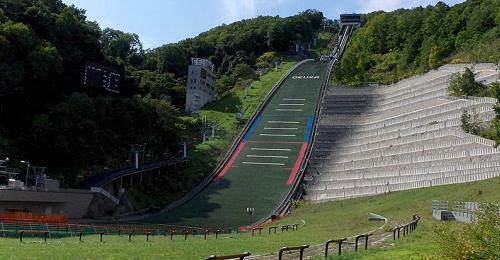 Additionally the Yukijirushi (Snow Brand) 60 meter hill was built in 1957 further on the right and hosted the annual All-Japan-Cup until 1969. 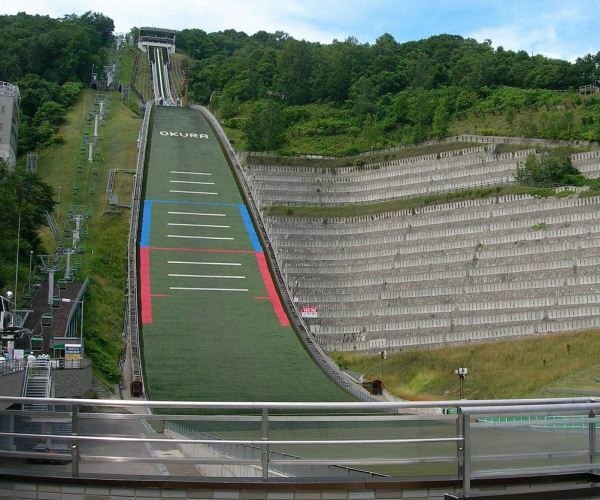 In preparation of the Olympic Games 1972 the ski jumping facility was completely converted for 770 million Yen in 1969-70. 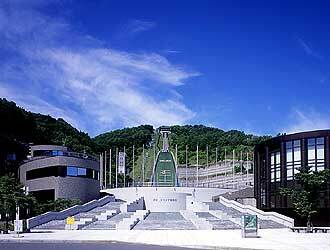 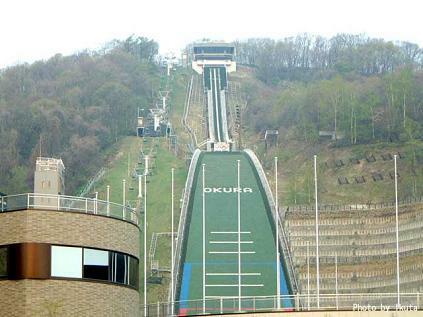 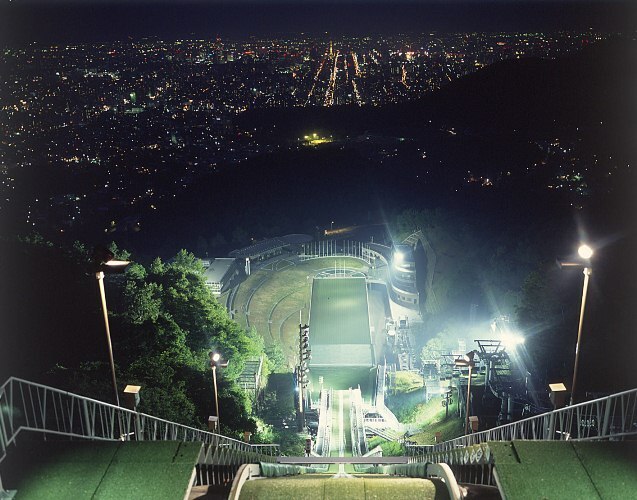 Around the on K110 enlarged Ōkurayama ski jump a stadium with a capacity of 50,000 spectators was built. 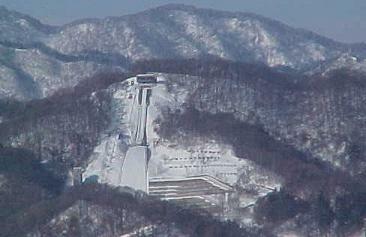 Furthermore Snowbrand ski jump was given up and Miyanomori built instead. 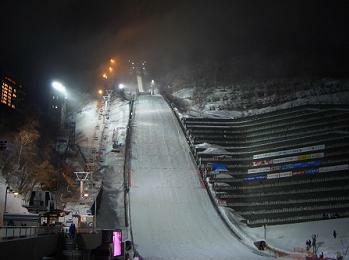 Then Poland's Wojciech Fortuna captured the Gold medal in front of an audience of 42,149. 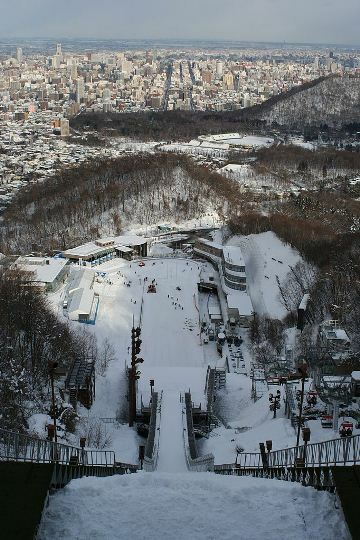 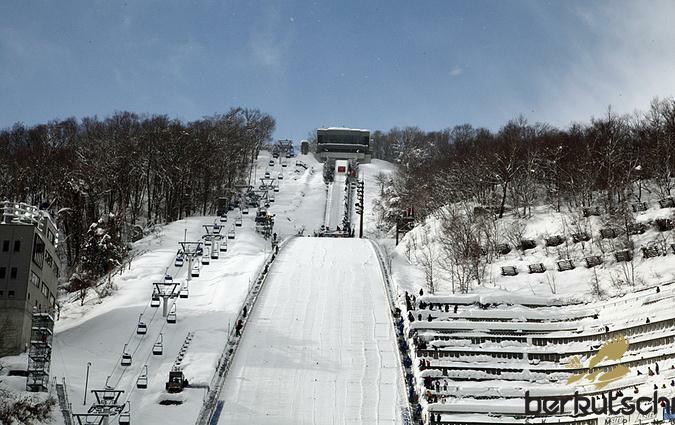 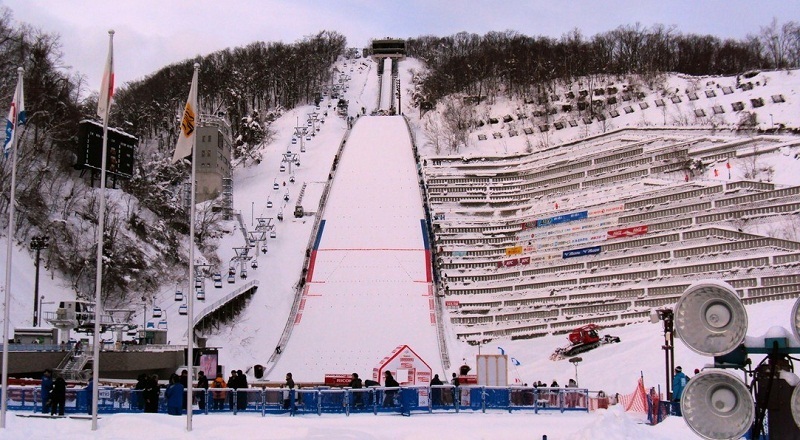 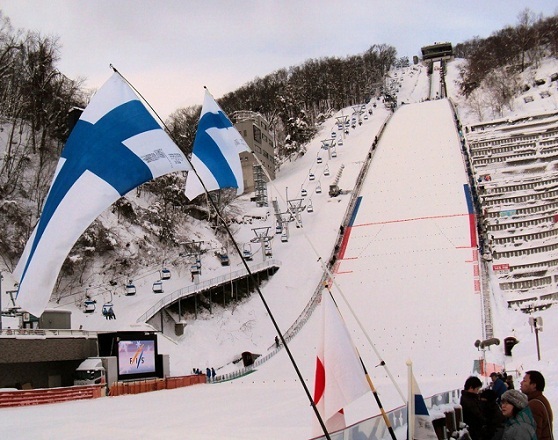 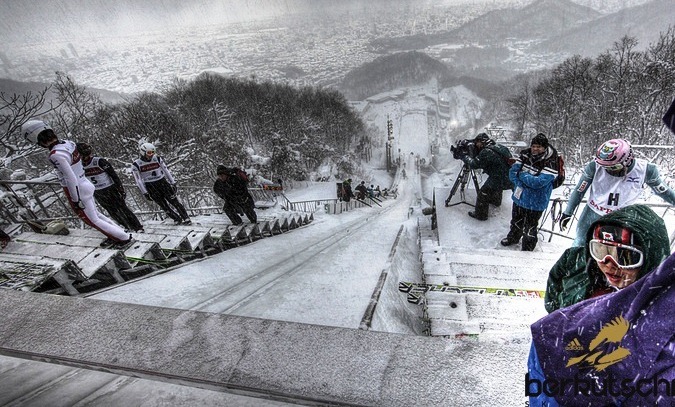 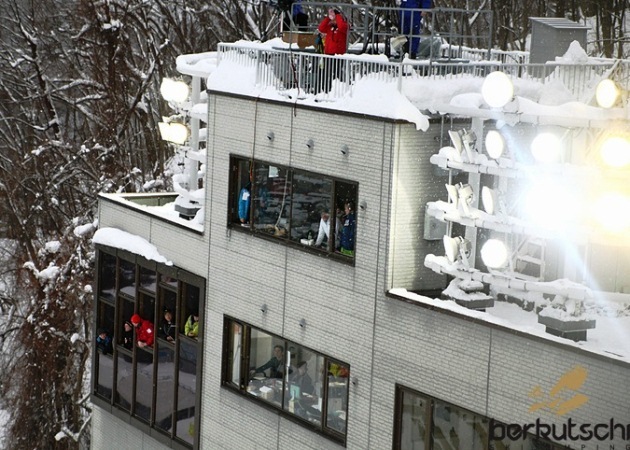 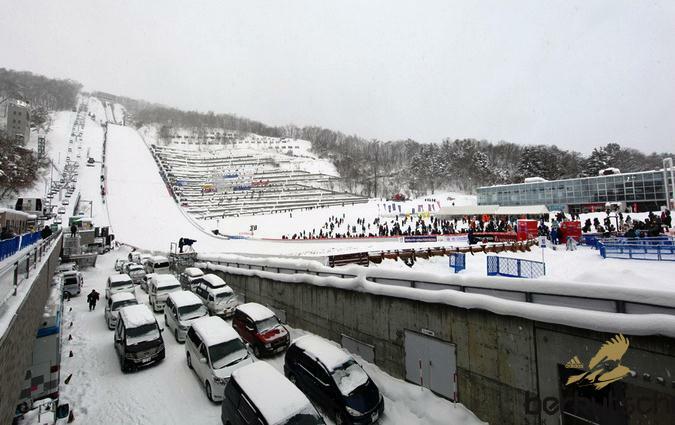 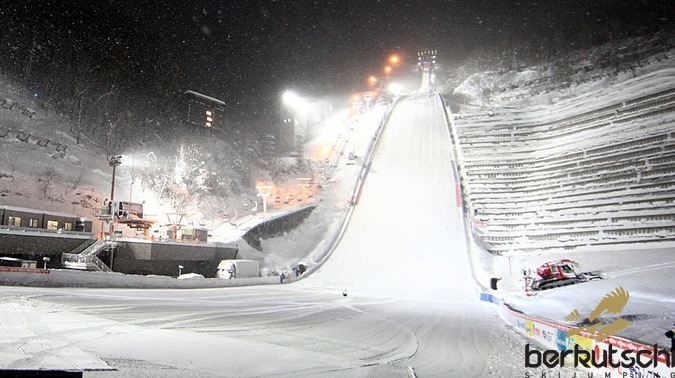 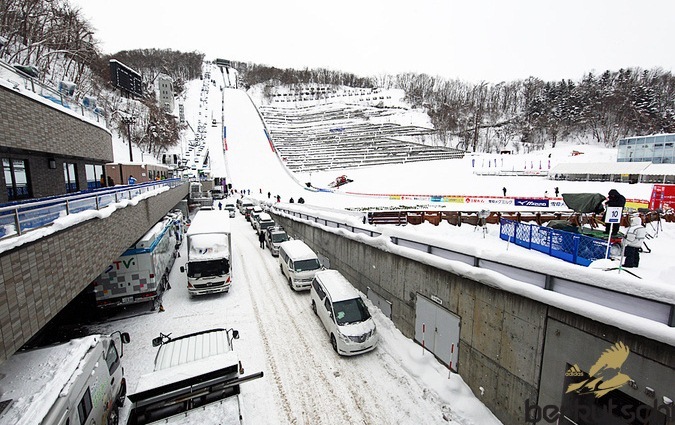 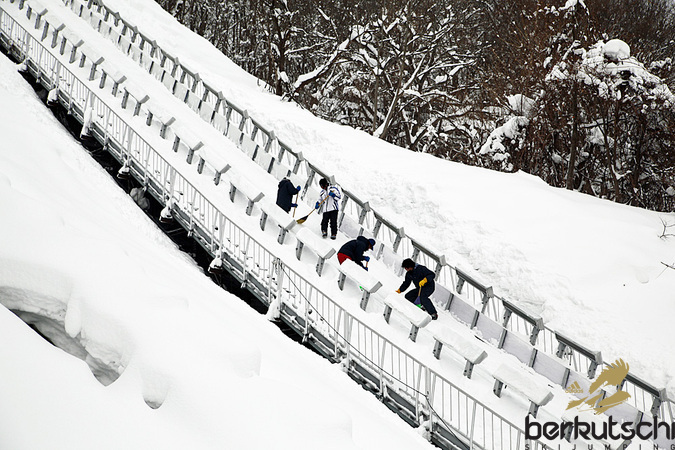 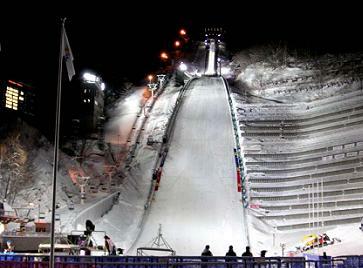 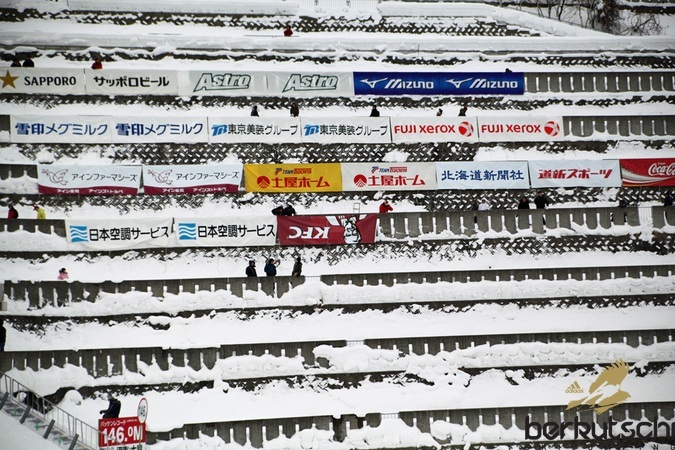 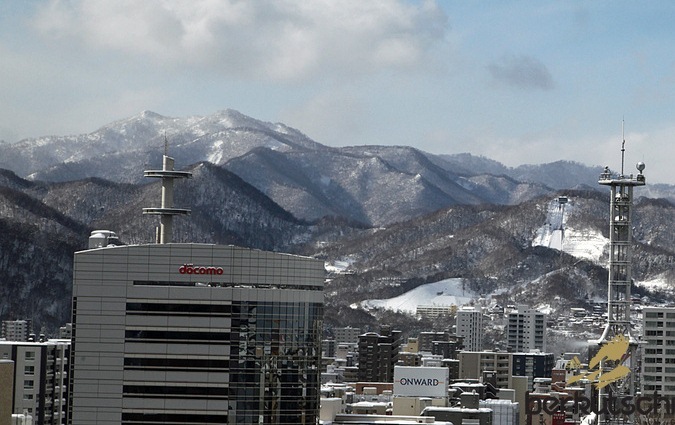 Already since its start in 1980 Sapporo has been part of the Ski Jumping World Cup. 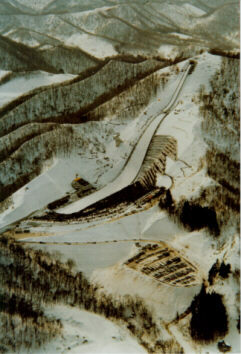 In 1982 the ski jump was extended by a modern lift and 2 years later a modernization onto K115 was done. 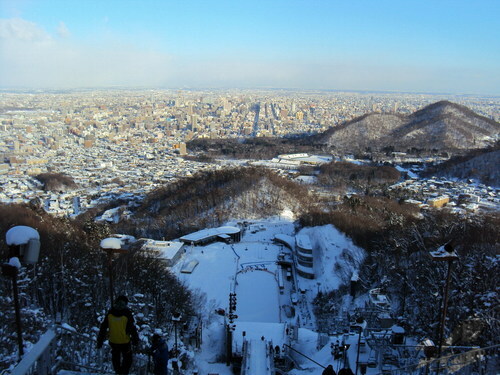 The Winter Universiade 1991 was held in Sapporo and on Ōkurayama jump. 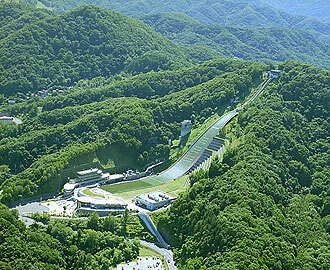 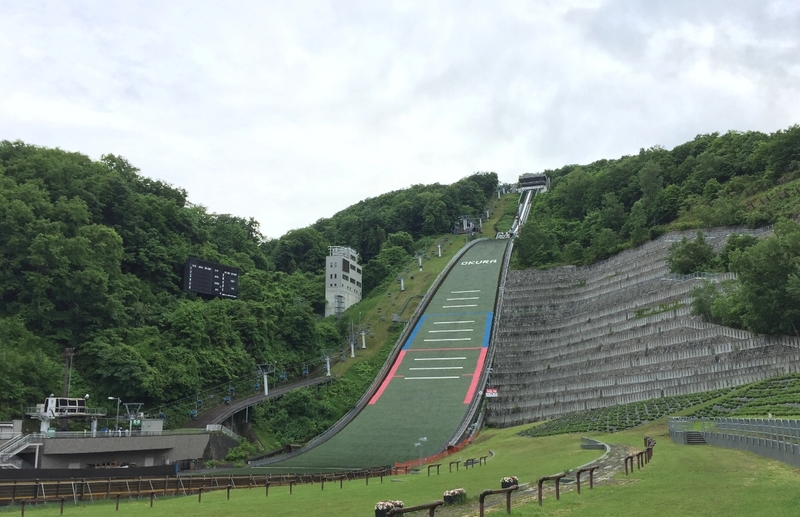 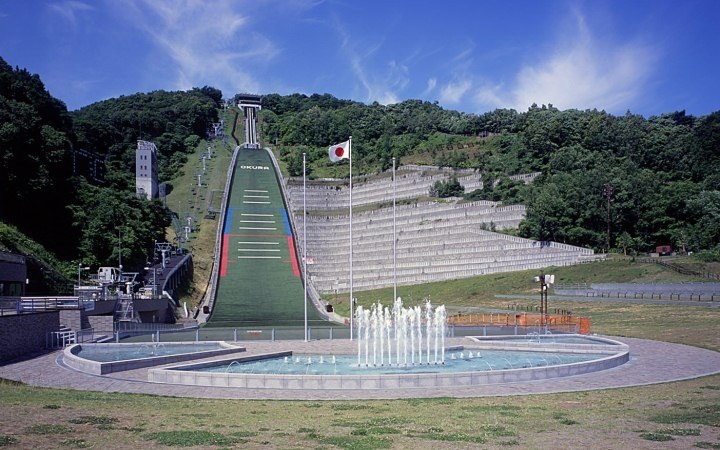 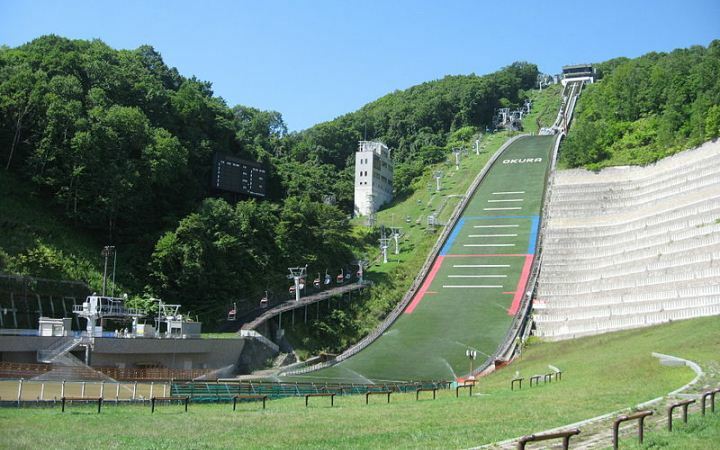 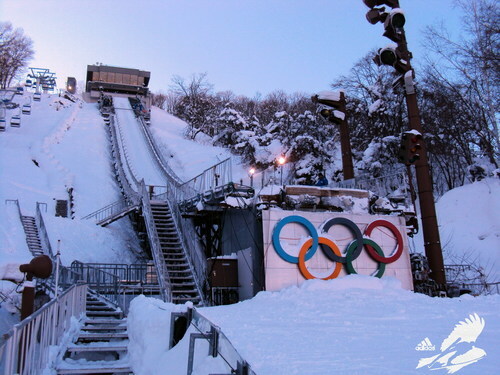 A profound modernization and adapation of the ski jumping hill and its inrun tower to FIS conditions as a K120 was done in 1996 for 2.6 billion Yen. 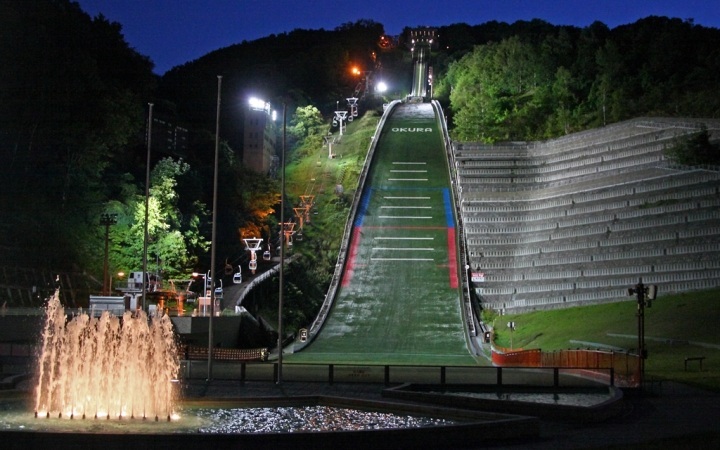 One year later the hill was covered with plastic mattings and floodlights were installed. 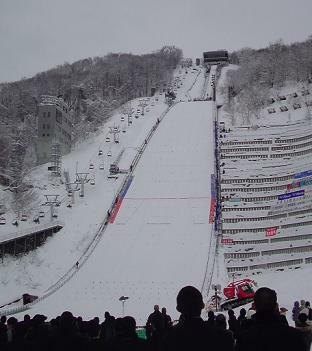 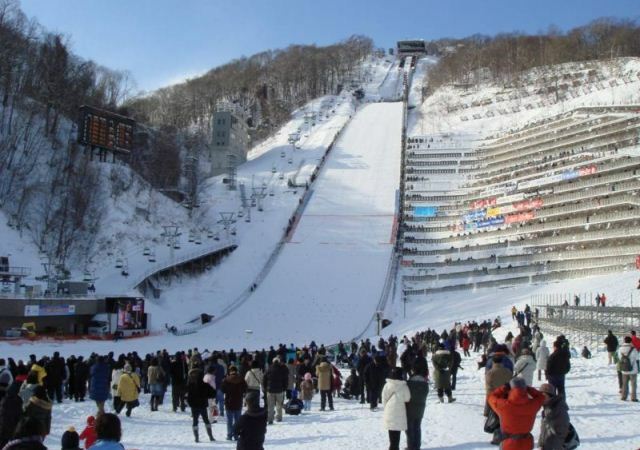 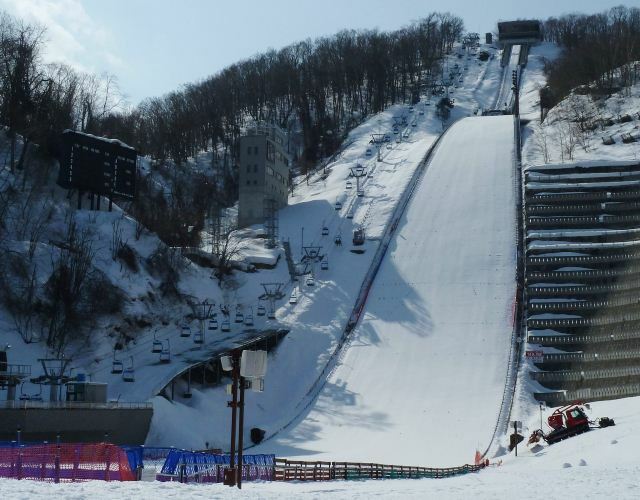 For the first Nordic Ski Championships in Asia in 2007 the HS 134 ski jump was again modernized, but without changing the hill profil. 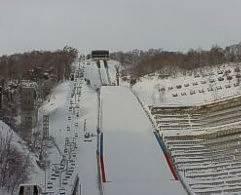 Since 2017 the snow profile of the hill has been adapted, such that the hill is now listed as a K123 / HS 137 for winter use. 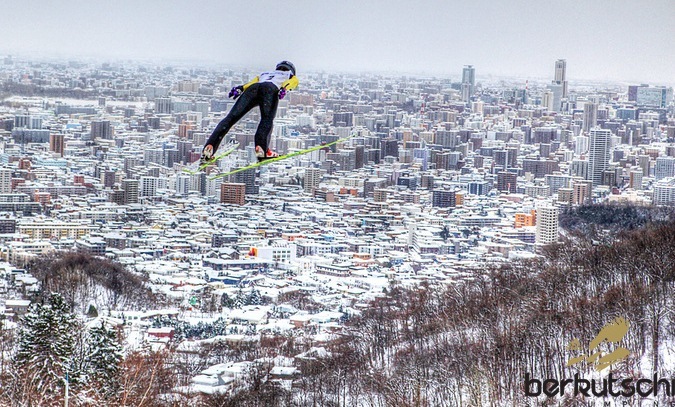 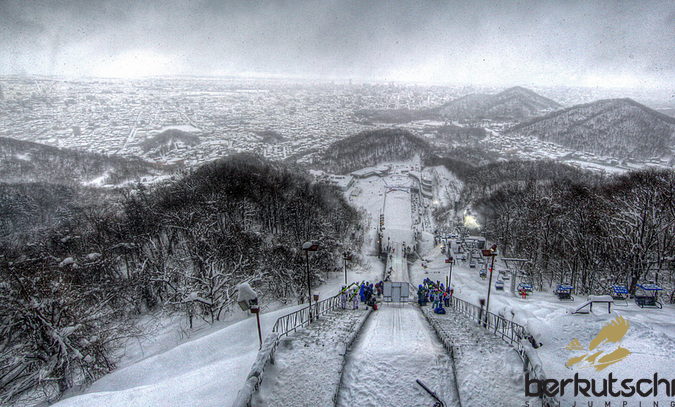 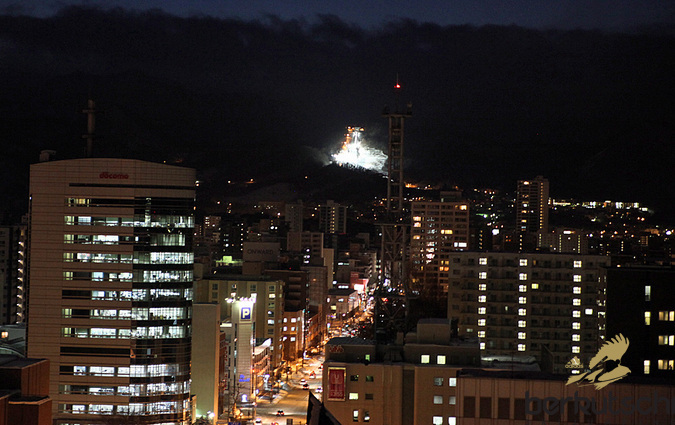 By the way, one has a wonderful view over the 1.8 million people city of Sapporo from the head of the jump.